Hey Y’all, I’ve got a very special video for you today. I strongly believe that every student, teacher, and parent out there should memorize what I call The Study Cycle. It needs to be a part of the daily language in classrooms and households. Normally I keep this video locked up in my paid online courses, but today I’m releasing it for you to watch for FREE! Check out the video here. And then — if you’re a teacher, tutor, school administrator or academic coach, please considering joining me for my upcoming course The Art of Inspiring students to Study Strategically. We start on February 27th. You will learn everything you need to know to ensure that students have the tools they need to rock their learning with or without you! Do you tend to lose the work you do? Is there a wormhole that completed assignments get sucked into? I have several ADHD clients who can’t seem to track papers to save their lives. THEY swear they completed an assignment and turned it in; their TEACHERS swear that they’ve never seen the assignments. Who is right? In this video, I share with you my attempt at a solution to this problem, and it involves the app CamScanner. Check it out, and see if this might work for you. 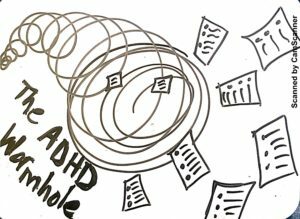 I want to know if you’ve ever experienced this: The ADHD Wormhole. I have a few clients who swear they’ve turned in a homework assignment, but their teachers swear they’ve never seen it. I know they’ve done the work, but no one knows where the assignment has gone, it’s like there’s this wormhole in the universe sucking in all these lost papers. The best solution I’ve found for this problem is the smartphone app CamScanner. I recommend for my clients to scan their homework the moment they finish it. This allows students to bypass the wormhole because if they lose their homework they just need to shoot off an email with the scanned image of their homework to the teacher and they are good to go. The hardest part of using this method is developing the habit. I recommend to parents to try making it a scheduled event at night, to make sure that their student has scanned each piece of homework. If you’re wondering why I am recommending CamScanner over taking a picture, it’s because CamScanner actually scans the image, just like a printer, so the quality is a lot better than a picture would be. Of course, you could always use a printer if you have one instead. As always, this is just one of my many tips available in the Anti-Boring Approach to Powerful Studying course. So click here to check that out as well. Meet two amazing educators teaching students study skills in creative and cutting edge ways. Gretchen interviews Eda Chen and Natalie Borrell about how the unique ways they’ve integrated the Anti-Boring Approach in their work. Natalie’s plans for bringing her lively in-person workshop to schools all over Ohio. Natalie Borrell is a licensed School Psychologist and Academic Life Coach in the Cleveland, OH area. She works with teenagers who want to become better students, but need some direction on how to do so! She uses Gretchen’s Anti-Boring Approach to Powerful Studying in her work with individual clients and a hands-on workshop for high school students. Check out her website, and also her Facebook page. Eda Chen is the Owner and President of Elan Advising. It’s an education and career consulting company based in Davis that works exclusively with high school students, college students, and recent grads. They use life coaching techniques to teach executive skills–like time management, emotional resiliency and more. They also help their clients with college and graduate school applications and job hunting. Eda‘s a UC Davis alum and grew up in Dallas. You can find her website here. She’s also on Twitter and Instagram: @elanadvising. Are you a fan of taking breaks? Me too. But how do you keep yourself from taking a break that’s way too long? This is a common problem for many of my clients (honestly, it’s hard for me, too). Recently, though, a client’s love of music helped inspire this new time management idea. Check out the video, or read the summary below. Will this anti-boring idea work for you? We all love taking breaks when we’ve been working hard. The problem with taking breaks, especially from homework, is that they are often too long. Afterward, we aren’t motivated to get back to work. A recent session with one of my clients lead me to a new idea for a potential fix to these issues: A Break Playlist. The goal is to create a few playlists to listen to when you’re on break. 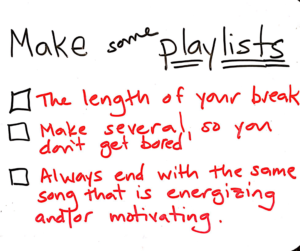 You want to make a few so that you don’t get bored of your playlist. 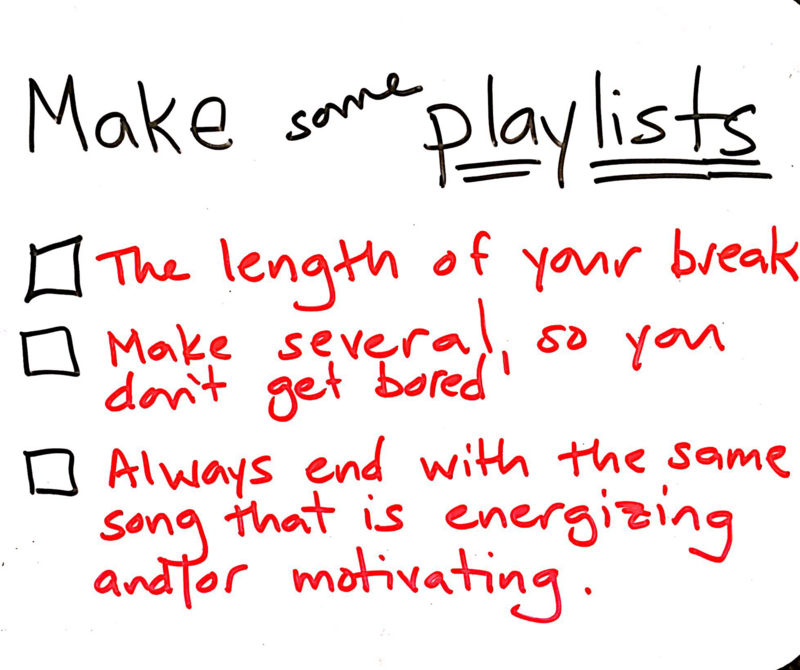 The playlists should be the length of your break so that you know you have to get back to work once they end. You also want them to all end on the same motivational or energizing song so that you feel motivated to get back to work. That’s just one of the many time management tips available in my course, which you can learn about by clicking here. What’s the first thing you do when a teacher gives a new assignment — especially something big, like a paper or project? Thanks to their work with me, many of my clients are getting good at writing the due date in the planner (on the day it’s due, by the way, NOT the day it’s assigned). However, a few of them are still making THIS mistake, which causes them a lot of stress in the long run. Check out this video for more details about what not to do, or read the summary below! Our Solution: I made him read the prompt right there in our session together. It turns out that this assignment was not an essay, as my client had thought, but rather a short research assignment that included talking to several students on campus and taking a poll. 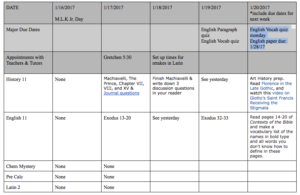 Had he waited until the weekend before the due date to read the prompt, he may not have had the time or capability to finish this new assignment. 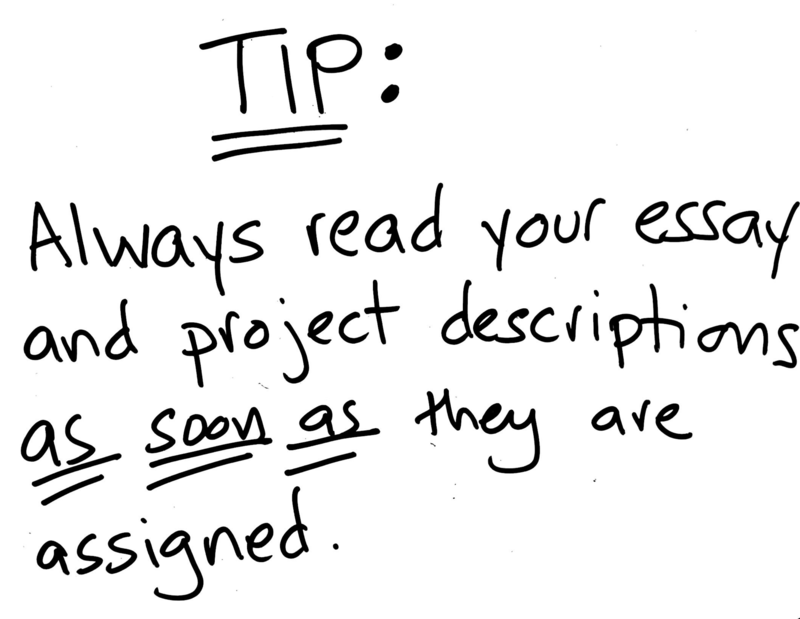 The tip here is that for every new assignment you get, always read them when you get them. This will save you a lot of academic headaches! “I’m lazy,” teens often tell me when I meet them for the first time. Parents often confirm this. And so do teachers, when I email them to get more info about how a client is doing in their class. I know students often feel lazy. And they certainly seem lazy to parents, who watch their teens get sucked into the vortex of their phones. But what if students are not lazy at all. What if — God forbid — it’s the adults around them who are helping to create the conditions for this apparent “laziness”? Some students try really hard. They stress themselves out keeping up with their school work. Despite their best efforts, these kiddos still perform poorly on tests. Argh! Why?! Other students seem apathetic, perhaps even lazy. They can’t motivate themselves to learn, despite teachers’ best intentions to make curriculum interesting and their parents’ best efforts to keep them on track. I’m guessing that YOU are the kind of educator who has also noticed this trend… and is doing what you can to reverse it. You are sincere, creative and a hard worker. You’ve done your darndest to design a curriculum that will be motivating and effective for students. 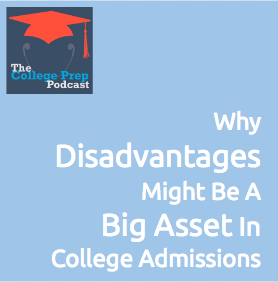 So why are students STILL struggling so much?! What are we missing as educators that hold them back? Students don’t know how to study. Everyone TELLS them to study, schools and parents EXPECT them to study, but no one has actually taught them how. The way adults talk to students about their own learning may be backfiring! That was true for me, at least, for the years that I was a classroom teacher. Once I became an academic life coach, I discovered that I needed to unlearn a number of bad habits about how to talk to students about learning and studying. Although my actions were intended to help students become more engaged, proactive learners — instead they created the opposite effect. Students became passive learners, dependent on their teacher’s creativity and curriculum development expertise to guide their learning. They didn’t know how to teach themselves. 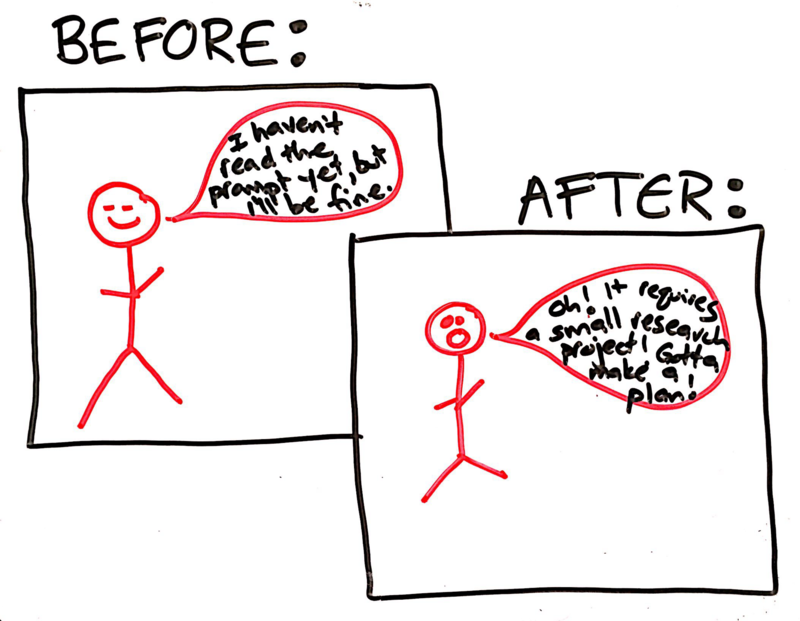 Now that I am an academic life coach, I’ve been unlearning these bad habits. I’m watching my student clients transform their learning, lower their stress level and raise their grades in unprecedented numbers. I’m also watching the teens who seemed lazy perk up and start taking action. If I can do this as a coach, you can do this too — as the incredible teachers, counselors, tutors, and coaches that YOU are. So, what are these bad teaching habits to which well-meaning educators fall prey? We overuse the word “study,” assuming it communicates something of value to our students. We teach specific strategies (like flashcards) that worked for us when we were students. We focus on “learning styles” as the way to discover how to study effectively. We break learning down for students into bite-size, motivating chunks and provide clear instructions for students. Well hold up, you might be thinking! Aren’t these the tenets of good, progressive education? How can they possibly be bad teaching and tutoring habits? I feel your pain. I was surprised, too, to discover that certain “facts” of good teaching in which I’d been trained sometimes do more harm than good. Why might that be? Think about it: How many times was the word “study” used? Was anything of value about the learning process communicated in these brief interactions? I’d argue NO! This entire conversation about studying is largely meaningless. How do students decide what they need to DO to study?! How will they know when they’ve been successful studying, and are ready to take the test? They simply don’t study, either because the actions I’ve described above are unmotivating and uninspiring or because they don’t believe they need to study. When test grades are published, student’s spirits are dashed. “But I studied!” they say. 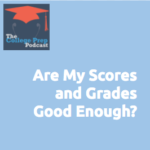 “How come I got such a bad grade?” The answer is — because they studied in ways that felt effective but are are not actually effective. 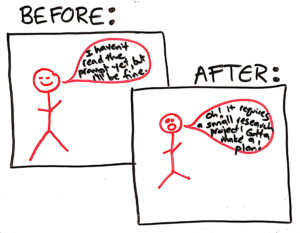 As an academic life coach, I am on a mission to banish the words “study” and “review” from the English language. Ok. I know. That’s pretty impossible. But what if educators, parents, and students used it a lot less? How would you talk about test preparation with students if you weren’t allowed to use either the word “study” or the word “review”?! Too often the use of these words allow us to live under the illusion that we are communicating something of value about the learning process, when truthfully we are not. What should teachers, tutors, and academic coaches do instead? 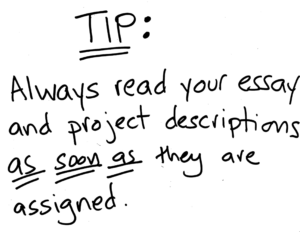 Quick Tip: Start noticing when you use the word “study” and what you are actually trying to communicate. Play around with banishing the word “study” from your vocabulary for a day or two. What might you say instead? You might even include your students in this game! See how this experiment forces you to talk about learning in new ways. Advanced Tip: Want to know the 3 words that I use with my clients instead of the word “study”? Watch the FREE demonstration video that’s embedded here. You might even print out the graphic of the 3-step Study Cycle that I provide in my e-book, post it somewhere visible, and practice using those words with your students instead. So, what’s the next blind spot I’ve noticed in educators (and of which I was also guilty)? Bad Habit #2 – Educators teach specific strategies (like flashcards) that worked for us when we were students. I’m guessing you are one of the many thoughtful teachers, coaches, and tutors who DO teach specific strategies for studying. Perhaps you suggest flashcards or provide mnemonics to help students memorize complex information. Maybe you hand out a study guide with suggestions for how to use it. Some teachers (I was one of these!) even build studying for a test into the curriculum, guiding students through the steps they need to prepare. Yes! This is all good pedagogy! First, usually, we pick the strategies that worked well for us when we were students. But not all learners are going to rock the information just because they’re studying it in a way that worked for you. Also, well-meaning educators often suggest strategies without explaining WHY these strategies tend to work. We assume that the strategy in and of itself is what will help the student study. But even the BEST strategies can fail if implemented in ways that ignore how the brain is built to learn. I know so many students who are bored to death by flashcards, but who use them anyway because they’ve been taught it is a successful learning strategy. Many educators themselves don’t truly understand how learning happens in the brain. I sure didn’t, before I became an academic life coach. In our teacher education programs, we are taught strategies for engaging students, but we aren’t taught how this fits into a brain-based model for how learning happens. When we teach strategies without teaching the underlying theory about why that strategy might work, we are creating kids’ dependence on the specific strategies. We are teaching them that the way to study is to throw a random strategy at the problem and hope you learn the information. Quick Tip: When you hand students a new assignment, ask students to look it over and reflect: “What is the purpose of this activity? What am I supposed to learn?” and then “How does the design of this lesson help me learn this objective?” The goal here is to help them start to distinguish between learning objectives and the strategies used to achieve that objective. 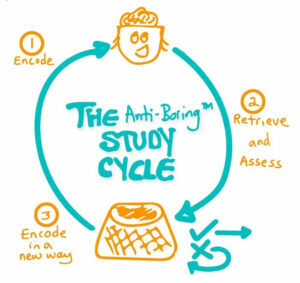 Advanced Tip: Teach students the 3-Step Study Cycle. 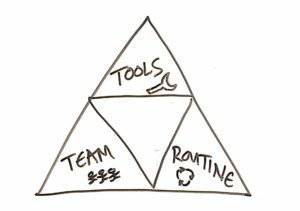 Once they understand each of the three steps, have them reflect about which step of the cycle they are in for each kind of assignment you offer. This tip might not make much sense now, but it will make more sense after you read the description of the 3-Step Study Cycle and watch the demo that I provide, both of which are available here for free. Bad Habit #3 – We focus on “learning styles” as the way to discover how to study and learn effectively. Many educators — myself included! — have espoused learning styles as an important factor in increasing student motivation and performance. When I was a classroom teacher, I had students take learning inventories, and then I would use the results of this inventory to help individualize student learning. For example, I’d have students who tested as “visual learners” do history projects that were primarily visual; students who tested as “logical” thinkers could write an essay or create a chart filled with information. When I was trained as an academic coach, I was taught to use these same inventories with my clients, and then apply the results to help the students maximize their learning. In the last few years, however, I’ve stopped giving these inventories. I DO still believe that every person learns differently and that it is important for students to understand — and advocate for! — learning methods that reveal their strengths. However, I’ve noticed that too much of an emphasis on learning styles makes students less inclined to learn in ways that are *not* their learning preferences. In recent years, brain science has backed up my observations, stating that the most effective learning strategies use all parts of the brain, regardless of whether the students has a specific preference for that strategy. What should we teach instead? Quick Tip: Teach students that the brain needs to learn information in a multitude of different ways. If one method doesn’t seem to be helping them learn, then students should be flexible enough to choose a different learning strategy, even if it’s NOT their preference or dominant learning style. Advanced Tip: So that students understand the brain-based reasons why variety is important in learning, teach them the 3 Step Study Cycle (it only takes 5-minutes to teach, as you’ll see in this demo). Then brainstorm with them multiple strategies for studying the same content when they are on their own, using the Study Cycle as a guide. Bad Habit #4 – We break learning down for students into bite-size chunks. When I did my teacher training, I learned of the importance of breaking tasks down for students to help them be successful. I mastered the art of creating engaging, complex curricula for students, as well as how to break it into discrete, doable parts with clear instructions so that students wouldn’t get lost in all the details. This is an important teaching skill! I don’t knock it, and I hope you continue to do it! However, a side effect of this kind of teacher-intensive curricula is that it can accidentally foster dependence rather than independence in students. Students depend on the instructions. They wait to be told what to do, for the adults to initiate action. The side effect of our willingness as educators to break learning into digestible parts is that the teens themselves don’t have to learn to do this for themselves. They’re off the hook and don’t need to understand how successful learning happens for them. Instead, they mindlessly follow (or resist) the teacher’s instructions, a habit that is not conducive to lifelong learning. When students rely on their tutors and teachers to guide their study process, they are abdicating responsibility for their own learning. So what should teachers and tutors do instead? Truly Highly Advanced Tip: Check out my list of 7 types of struggling students, including each student’s “study blind spot” and “study solution.” This will help you hone how you work with specific types of students to help them study more strategically, including which step of the Study Cycle each kind of student needs more practice with. *You may notice that this tip is very similar to the one I made for Bad Habit #2. This is purposeful! It is helpful to ask students to seek out the learning objectives both (1) before they complete a worksheet or assignment and (2) after they have engaged in a learning activity. The more often you have them reflect about what kinds of learning strategies help them achieve what kinds of learning, the more self-sufficient they will become at being able to structure their own learning when they are at home studying. Is It Really This Simple to Help Students Break Through Passivity and Become Strategic Learners? Yes! In my experience, most students are eager to learn how to become more effective learners. However, adults make it seem so complex! When they are introduced to a simple, easy-to-understand model for how to learn strategically, they rise to the occasion. Student: Guess what?! I got an A on the test!!!!!!! Me: OMG! Seriously?! Wow!!! How’d you manage that?! Student: I followed the study cycle. And I worked really hard to hone my notes*. In the past, I could usually narrow the multiple choice answers down to two that seemed similar, but I never knew what the right answer was. This time I totally knew! It was clear to me because I’d taken the time to encode the stuff I didn’t know in new ways*. I’m so proud of this young man for working so hard to understand how to study strategically and raise his grades. He clearly worked hard! In that respect, it’s not simple to become a strategic learner; it involves hard work! Click here to download your FREE copy of The Art of Inspiring Students: How to “Trick” Struggling Learners Into Studying Harder, Learning More, and Raising Grades. Phew! That was a lot to take in! 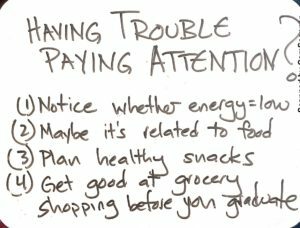 If you have questions or observations for me about any of these bad habits, please feel free to post below. I look forward to engaging with you. Thanksgiving is coming up soon, as are the winter holidays. 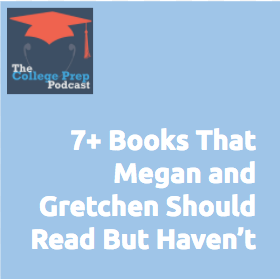 For more strategies about getting prepped for finals, check out Gretchen Wegner’s Anti-Boring Approach to Powerful Studying. Tune into the podcast by clicking here. 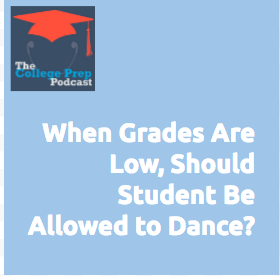 College Prep Podcast #131: When Grades Are Low, Should Student Be Allowed to Continue Extracurricular Activities? 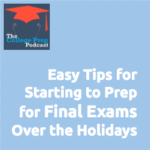 Click here to listen to this free episode of the College Prep Podcast!